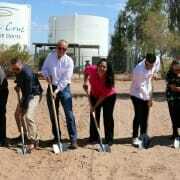 The Arizona Commerce Authority has confirmed Santa Cruz Commerce Center as an Arizona Gold Certified Site. Many of the incentives offered by the State of Arizona and other agencies are still applicable to businesses on the Reservation. To find out more about incentives offered by state, federal and other agencies visit the Arizona Commerce Authority. In addition, there are some key incentives that make Ak-Chin even more attractive. Visit the Arizona Commerce Authority for a complete description. Provides an Arizona income tax credit for the installation of solar energy devices in Arizona business facilities. Tax relief on purchases of CDC equipment for qualifying CDC owners, operators and co-location tenants certified by the Arizona Commerce Authority. The Qualified Facility program offers a refundable income tax credit for the location of corporate headquarters, commercial research, and manufacturing facilities. QECB tax credits allow an issuer of QECBs to potentially borrow for qualified conservation purposes at significantly lower rates. Provides an Arizona income tax credit for increased research and development activities conducted in this state. Exemptions are available for various machinery or equipment used directly in manufacturing and research and development. 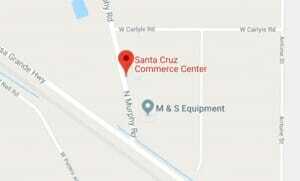 Santa Cruz Commerce Center target industries include fabricated metal manufacturing, construction suppliers, agribusiness, rental and repair services, and aviation-related services. $3 million awarded annually to the most promising technology ventures ($100,000 – $250,000 per company) to help promote and fund Arizona innovation. International Trade offers Arizona based companies export services to amplify trade opportunities in international markets. Export assistance grants for small businesses as they export their products for the first time or expand to new markets. A no-cost talent acquisition program that connects companies moving to or expanding in Arizona to the state’s highly skilled and available workforce. As a member of the MEP National Network partnered with the Arizona Commerce Authority, the MEP team is dedicated to helping Arizona manufacturers achieve their business goals, by combining decades of leadership, manufacturing, operational, and business experience to help clients achieve their business goals in the most cost effective manner possible. A resource program for entrepreneurs, government officials, community leaders and business organizations, focusing on support and opportunities for Arizona’s small, minority-, women-owned and disadvantaged business enterprises. An innovative competition that pits 64 of the region’s most promising startups against each other for cash prizes and investor opportunities. A business mentor program for the Arizona startup community to ensure small businesses can expand through all stages of development. Some state programs do not apply on Indian Reservations. Please consult with your tax advisor or you may find more information at this IRS link.